What Are the Signs of Losing Muscle? Muscle loss, an age-related condition called sarcopenia, begins sometime in your 30s or 40s and continues until about age 75 when it starts accelerating, depending on your genetics and physical activity levels. Aging, inactivity, decreased hormone levels and decreased protein synthesis are all causes of muscular atrophy. One of the first signs is looking in the mirror and seeing things wiggle that used to be firm. Others signs of losing muscle are more subtle. One of the first signs of losing muscle is the feeling of having less force and strength. Muscle and strength go hand-in-hand, so having less muscle mass means having less strength, not just for lifting heavy objects, but also for doing your day-to-day chores. Carrying the laundry gets harder, the groceries get heavier and the stairs get harder to climb. Another sign of losing muscle is having less energy. As muscle cells and protein levels diminish, your remaining muscles tire more quickly and easily. Being tired leads to a more sedentary lifestyle, and being sedentary in turn leads to further muscle loss. Having less energy may also lead to less healthy eating habits. If you’re tired you may turn to sugar or caffeine for energy or you may hit a fast-food restaurant rather than cooking a healthy meal yourself. Losing muscle results in the slowing of muscle mechanics that is evidenced in less speed of movement. Muscles become unable to have that burst of energy or quickness they once had. Movements become more thought out or planned and less spontaneous. Extra movements are generally avoided. When you lose muscle, you lose its mass, its fibers, its cells and its potential to make new mass, fibers and cells. The remaining fibers become disorganized and have fewer filaments and decreased mechanical function. Signs of this include less precise control of movements. Dexterity, flexibility and balance all suffer. Core strength is diminished, which also negatively affects balance. When you lose muscle, you may begin to gain weight. Muscle requires a great deal of calories to keep healthy and functioning. With less muscle, you'll burn fewer calories and this can lead to weight gain if you don't adjust your diet to make up for a slower metabolism. 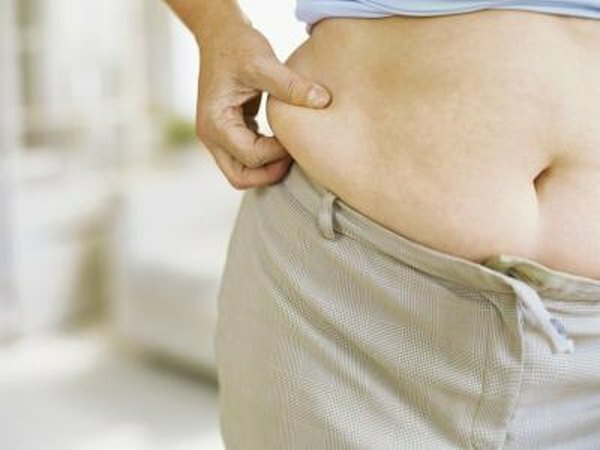 This weight gain weight often starts in the belly. and contributes to the onset of metabolic syndromes, such as glucose intolerance and diabetes. On the other hand, because muscle is dense tissue, you may notice weight loss as your muscles diminish. What Will Happen If You Never Exercise? Why Am I Not Losing Weight Running?